Rosewood Wine Cellar is more than a wine store! The Wine Cellar provides a rustic, ranch-elegance shopping opportunity for customers. Not only are you able to purchase award-winning handcrafted wines, but you can customize a gift basket and fill it full of special products. Rosewood Wine Cellar sells Rosewood Creations products, which include specialty meats, jellies, honey and crackers, bath products, candles, and horsehair pottery. All Creations products are made by our client-employees, so your purchase helps to employ people with developmental disabilities. We sell seasonal items that you won’t find in other area stores, and we sell specialty products like gourmet coffee and Famous Bros. Campfire Rub. 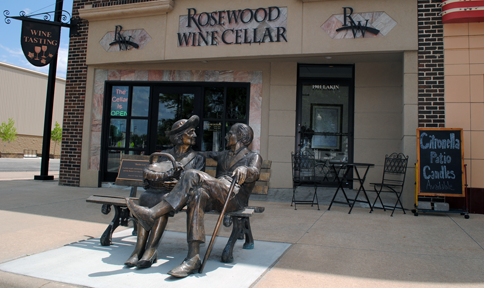 Among the selections at Rosewood Wine Cellar are nearly two dozen varieties of fine wine, which are 100% produced at the Rosewood Winery, nine miles west of Great Bend. We extend to you a most unique shopping opportunity. Come and wine taste while you browse our store. Rosewood Wine Cellar sells more than wine. Listed on the side navigation of this page (right) are some of our Rosewood Creations products. All of these products are made or harvested by client-employees, who are given diverse opportunities in the workplace at Rosewood Services. 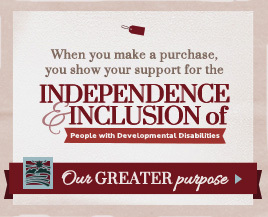 Your purchase of Creations items helps to sustain employment for people with disabilities. Thank you for your purchase of our fine products. Rosewood products made by our caring folks. Build the perfect gift basket or let us build it for you. Register for that special day, or customize our gifts in a unique way from your group. Sign up and save! When you sign up for our retail group emails, you will be notified of new products and promotions.